When you think of the Barrière group in France, the first images that come to mind are visions of ultimate luxury, the French art of living and everything you imagine premium French hospitality to be. With more than 16 hotels and 33 casinos in France (including the iconic Le Fouquet’s in Paris), one hotel in Saint Barth and in Marrakech, the Barrière state of mind is a philosophy of tradition that meets modernity. Upon our weekend visit to Deauville, we had to stay at the flagship hotel of the group. Where the story has started back in 1912 at the one and only Hôtel Barrière Le Normandy Deauville. First built by Francois André and then developed by Lucien Barrière, the hotel has been often described as one of the most beautiful hotels in France. Just two hours away from Paris by train, Le Normandy hotel is the countryside mansion you have always wished to own. You know, that property with a full time staff waiting to satisfy all your requests, and that has been completely renovated and decorated by interior architects Nathalie Ryan and Alexandre Danan. The “home away from home” ambience probably comes from the fact that the hotel has always been a family business. Offering more than 271 rooms and 40 suites, there is always something for everyone, for you and other eminent personalities like Coco Chanel, Winston Churchill and the Rothschild family. Upon your arrival, you will enter an opulent lobby decorated with fresh flowers and a crystal chandelier at the center of it all. And after the warm welcome of the receptionist, your first destination is the room, a space that is an embodiment of Anglo-Norman elegance. A king size bed that makes you want to dive into it, faced by a luminous balcony. So make sure to book a room with a balcony to enjoy the fresh air and indulge your eyes with the architecture of the hotel and sea view. As for the morning, if you are not an early bird, then the best option is to pre-order your breakfast and have it served in the room. One of the best Barrière moments is when you sip your coffee and munch on the assortments of croissants, cakes and pastries while enjoying the Deauville breeze and the views of the hotel. It’s like recreating a vintage Polaroid photo. Downstairs, at The Belle Epoque restaurant (where the buffet breakfast is also served), is an interior and exterior area adorned with wooden furniture and crystal glass. Prepare yourself for dishes and a palette of original flavours, starting from the entrée dish all the way to the heavenly desert. Right next to The Belle Epoque, take a moment to have an afternoon coffee at the salon, or an early cocktail drink at the historical bar. 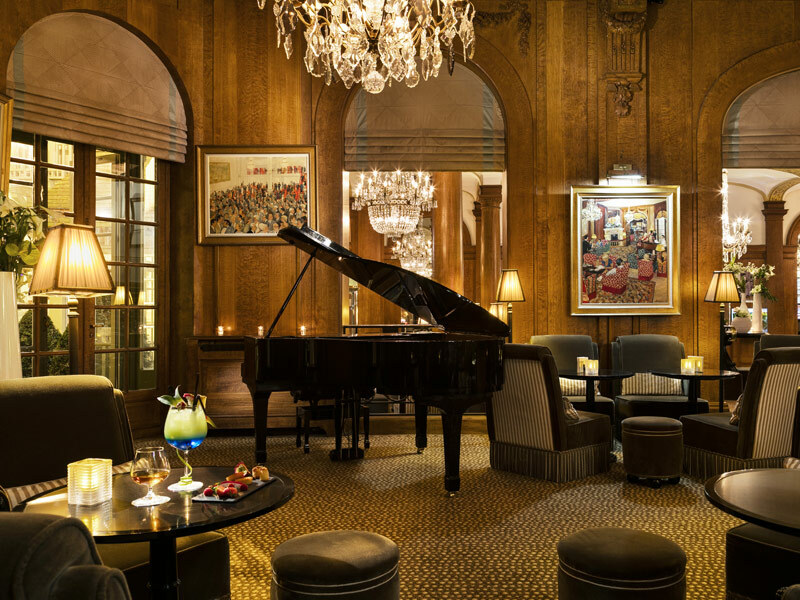 Everyone from Jack Nicholson, to Pierce Brosnan and Nicole Kidman have been at the counter of the mahogany bar, and sat around the grand piano surrounded by equestrian paintings and stained glass. For the ladies, do treat yourself at the Spa Diane Barrière Deauville, named after the late heiress of the group, and which offers all kinds of high-end innovative treatments, massages, and detox packages. And for the men, take same time to relax at the indoor swimming pool. And what about the kids? How can they too enjoy the Barrière moments? 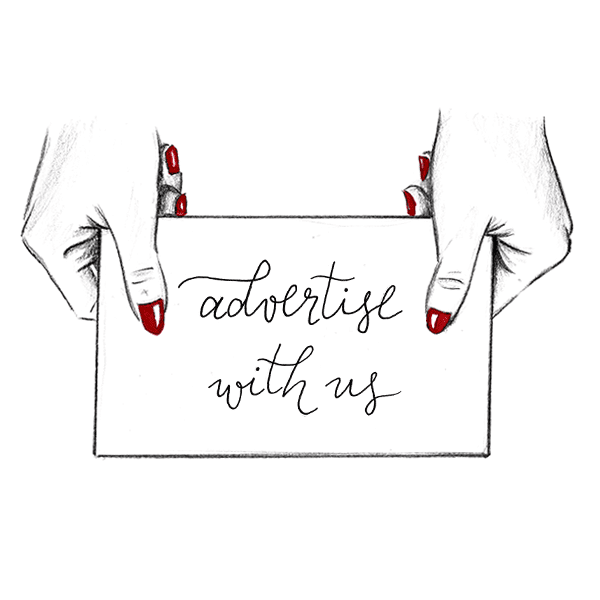 Well, part of the hotel’s five-star concierge services is a kids club that offers personalised assistance and various activities animated by experts in the domain. Finally, we have to admit that it was quite difficult for us to go out of the hotel. Between the comfortable room, the fine restaurants, and all the deluxe amenities, leaving the premises of the Le Normandy hotel was quite a challenge! 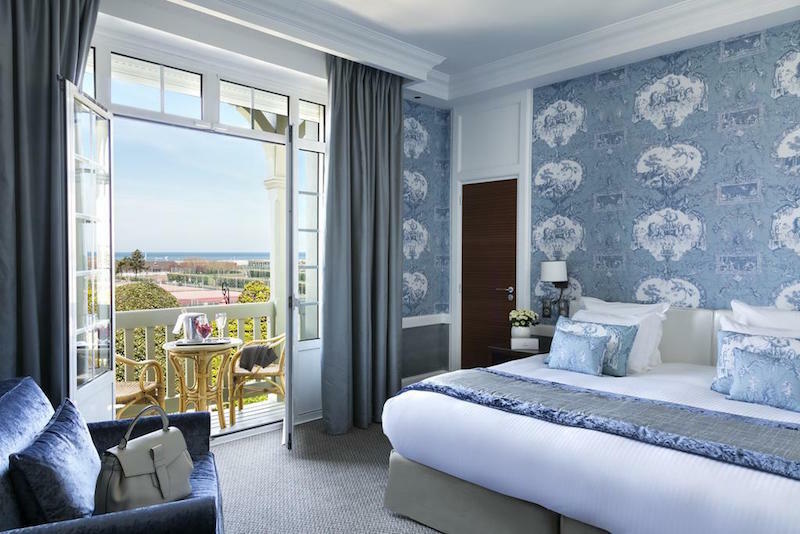 Editor’s Note: The Barrière group owns two other hotels in Deauville of different experiences; the five stars Hotel Royal and the four stars Hotel Du Golf (for golf lovers). So make sure to choose your hotel and book your room here.